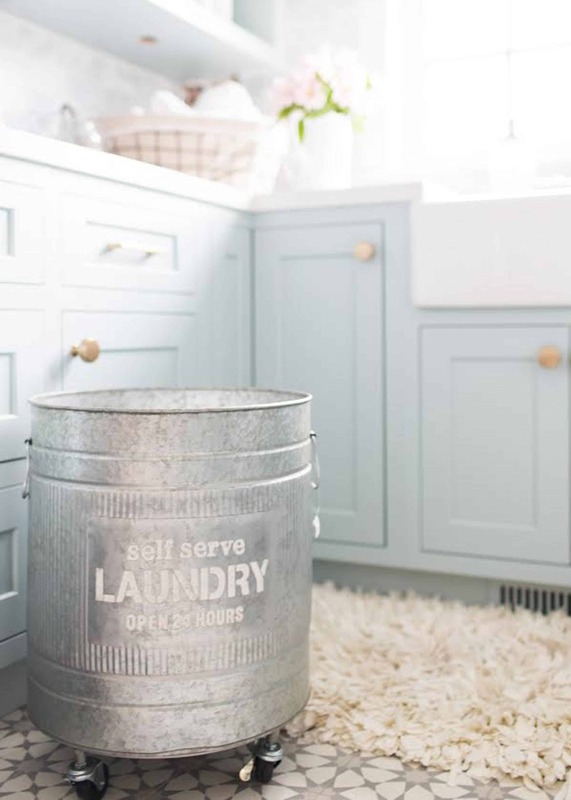 Invest in a cute laundry hamper. 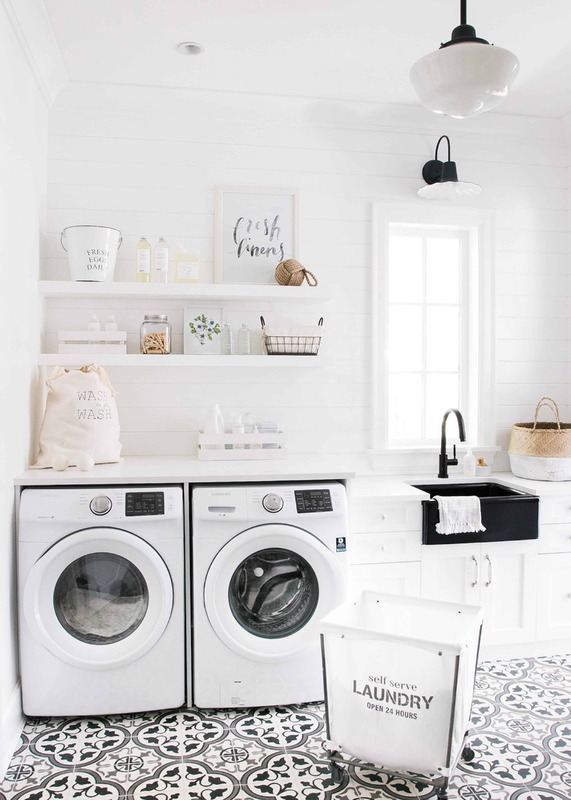 It'll make doing laundry that much more enjoyable. 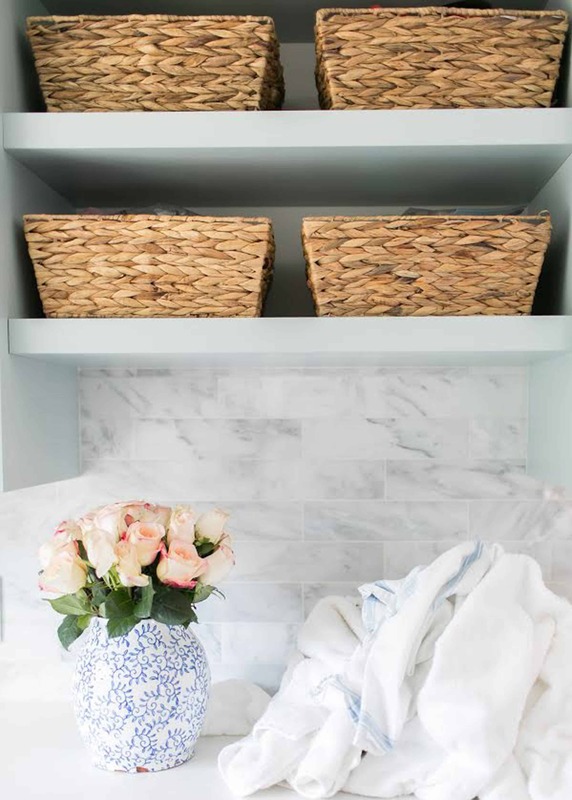 Baskets can double as storage and cute decor pieces to keep your rooms looking neat and organized. 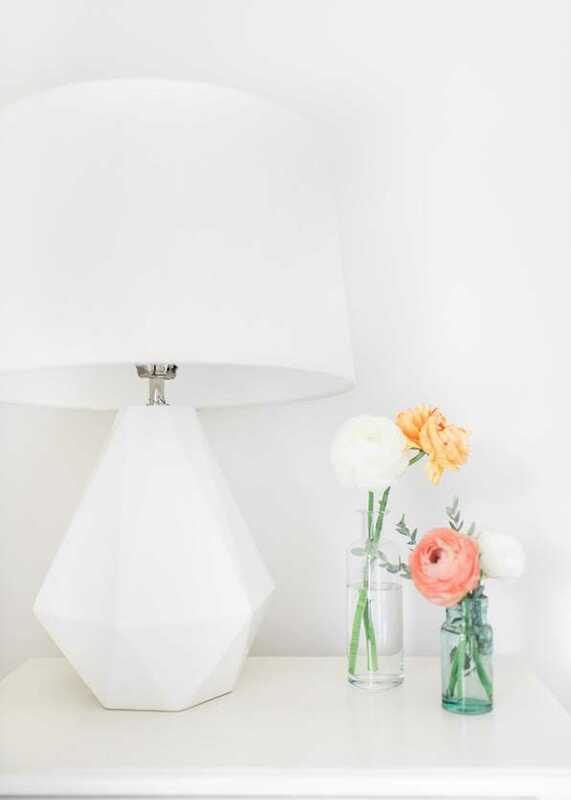 Make the most of your flower arrangements by splitting them up into multiple bud vases and placing them around your home. 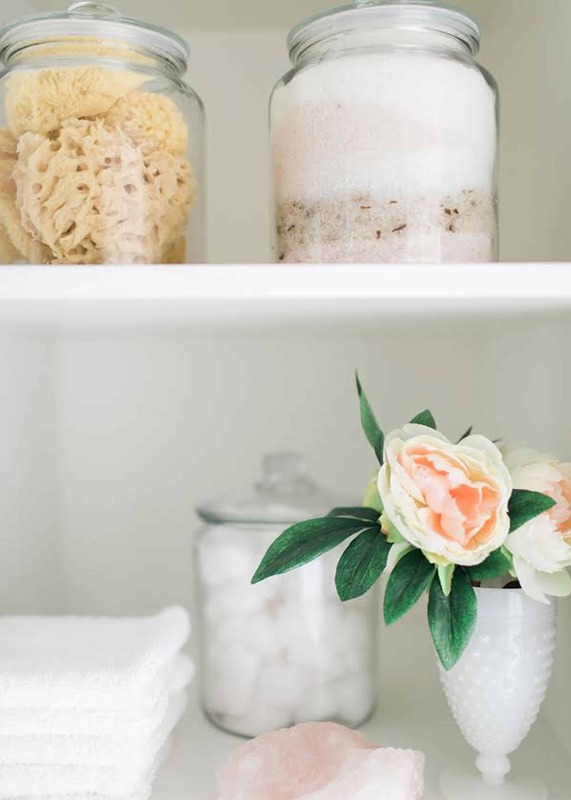 Store your bathroom supplies like cotton balls, Q-tips, loofas and bath salts in glass containers for a clean and simple look. 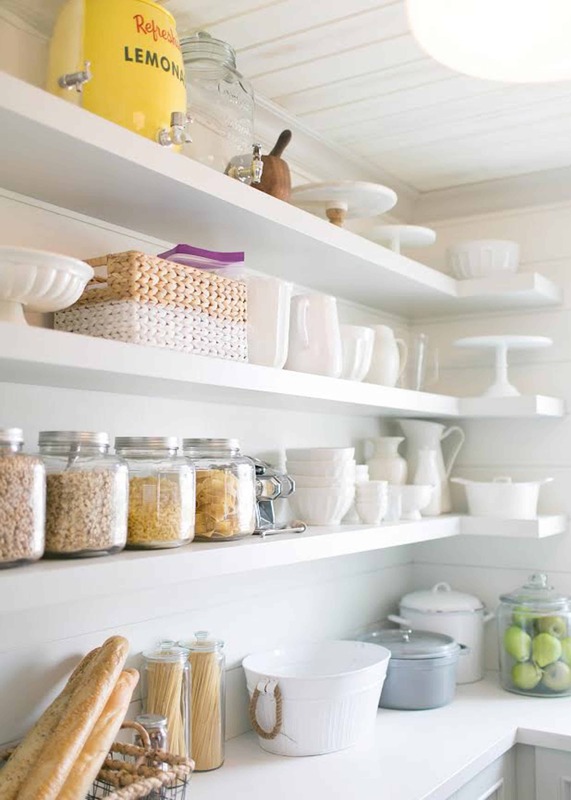 You can also store food like pasta, nuts, candy, etc. 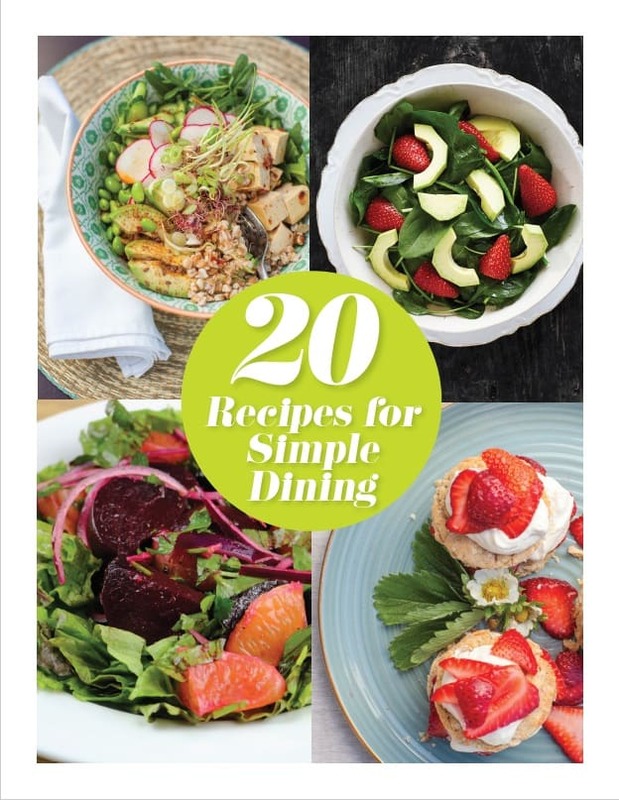 in glass jars in your pantry or kitchen. 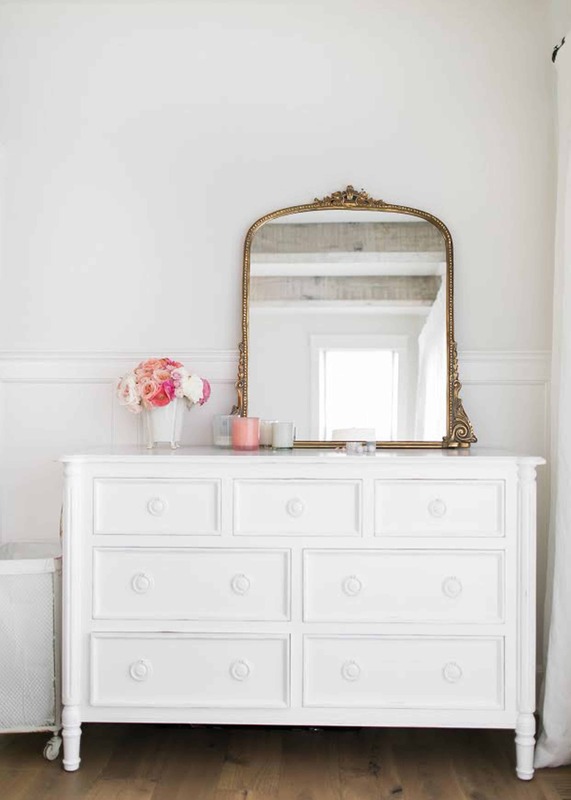 You don't always have to hang mirrors, lean them up on dressers and against walls for an elegant look. Fill open shelves with books, little decor pieces, family photos and folded blankets for quick access on chilly mornings or movie nights. I get asked all the time where our framed "Wild At Heart" image is from and truth is, it's a framed tea towel! 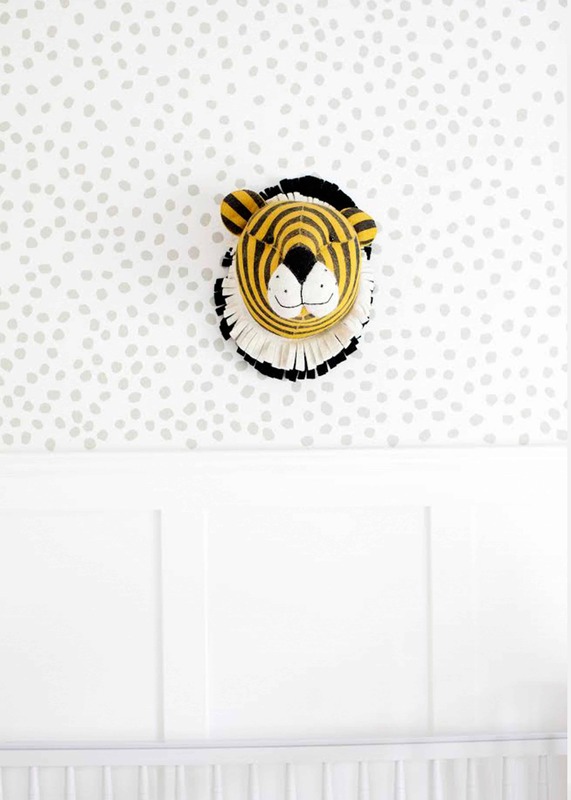 Don't be afraid to step outside the box and get creative with your wall art. Gallery walls can be a mix of prints, frames, and other wall decor. Pro tip: Tape out your gallery wall on the floor and play with your arrangement prior to transferring everything to the wall! 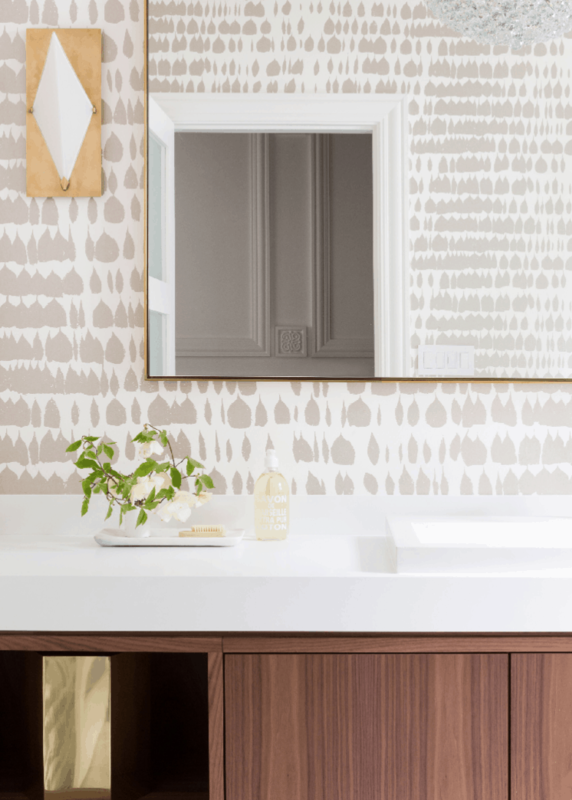 Give wall murals and decals a try in replace of wallpaper. These spots are in Leo's room and they're peel and stick so they are super easy to apply and remove. I love keeping the palette simple in our home, and that starts with the walls. Our paint colour isn't quite white, as that can feel a little stark. I love Behr Swiss Coffee or Benjamin Moore's Decorators White. There's nothing worse than an area rug that isn't quite big enough. Always size up when choosing your rug as it can really add a more luxe feel to a room. Our home is never without fresh flowers. 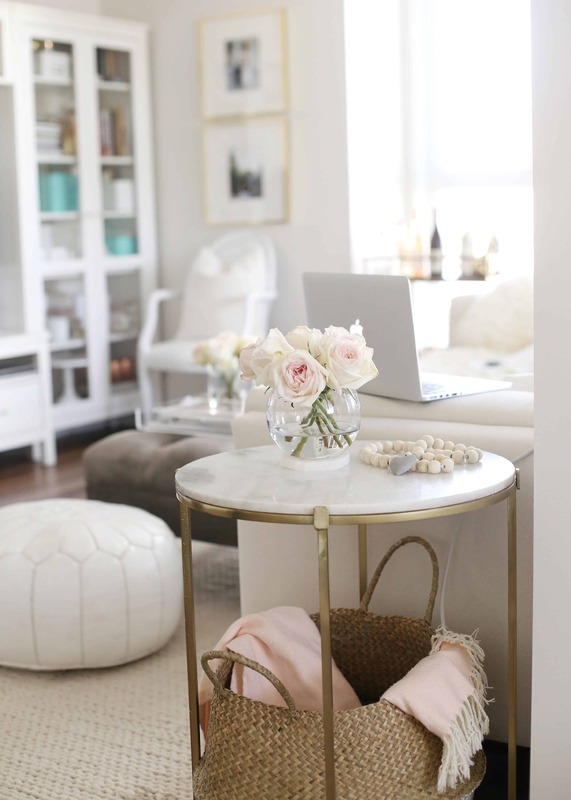 Even if it's just a simple flower arrangement on the ottoman, it always brings life to a space. Creating little vignettes of layered details always warms up a room. 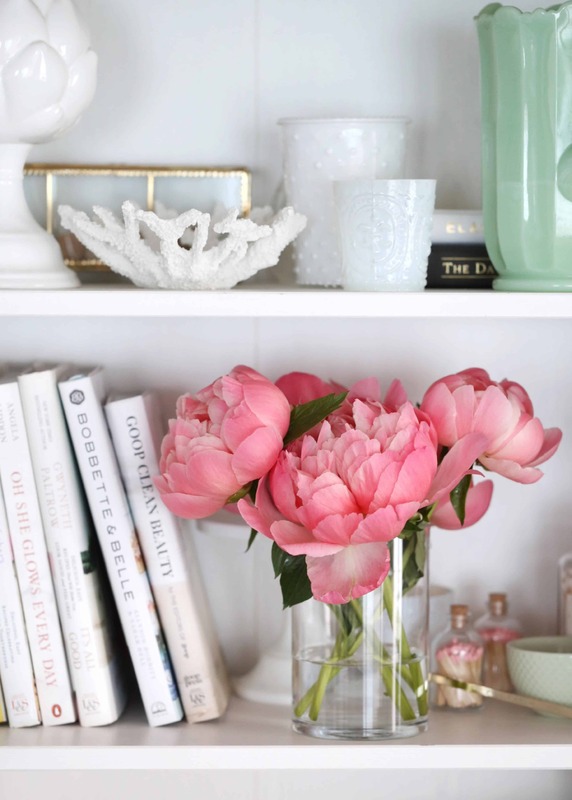 A tray filled with magazines, candles, flowers and little decorative touches is a lovely addition to surfaces in the home. 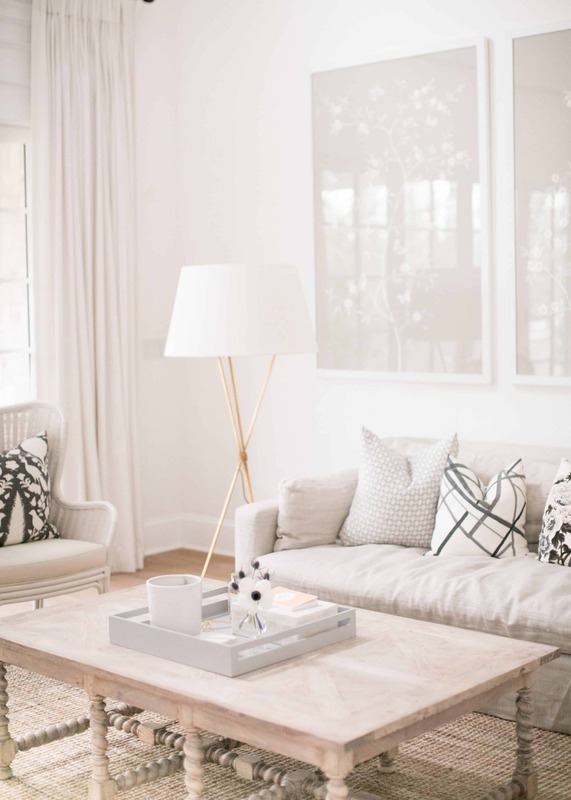 A mixture of floor lamps and table lamps are cozy in the evening, and they create a certain softness. The right lighting can make or break the atmosphere! 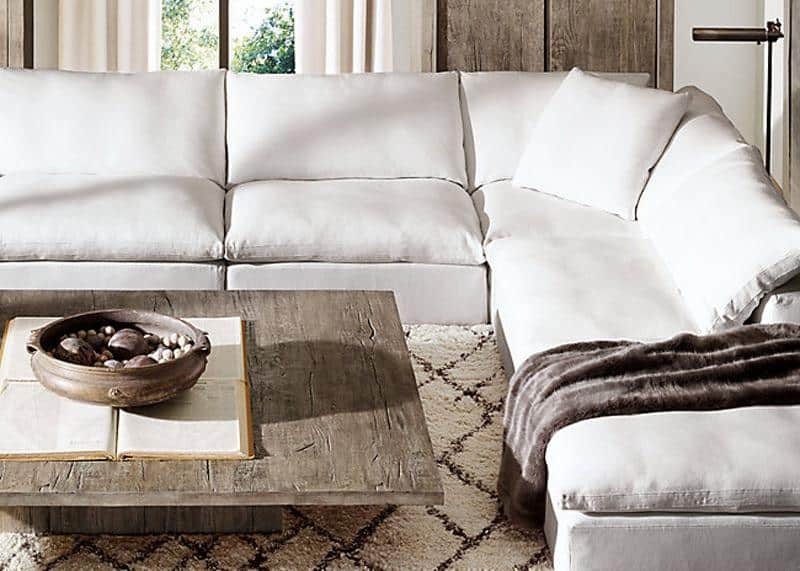 While I'd love to splurge on Restoration Hardware's Cloud Couch (pictured), I just can't imagine spilling on it. Since we spend a lot of time on the couch during our downtime, I always choose something comfy yet affordable, because accidents happen. Our bedroom is our sanctuary, and our bed is where I've really invested. 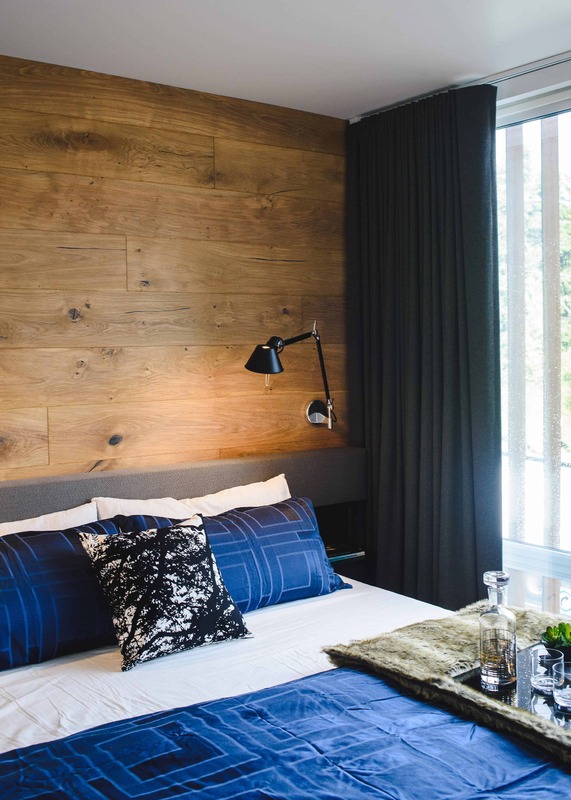 A statement tufted bed, plenty of down pillows, duvet and luxe sheets are all worth the spend for us, since it's our favourite place in the world to hang out. 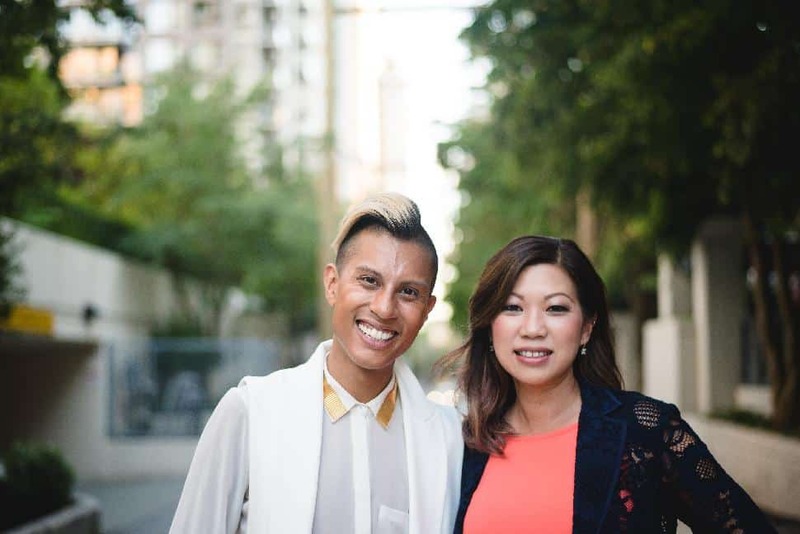 I'm a huge fan of constantly decluttering our home to keep it feeling organized. While storage is important, condo life doesn't support that so I'm always purging, and storing extra items in cabinets, keeping counters as tidy as possible. Burn those candles! 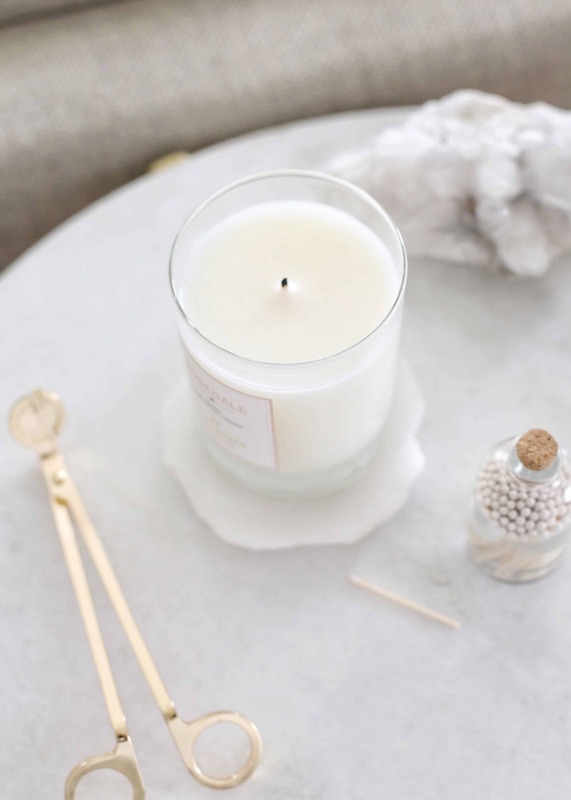 They add such a cozy feeling to your space, and I always look forward to lighting a candle in the evening after I shut my laptop. Adding texture to a home is the easiest way to cozy it up. 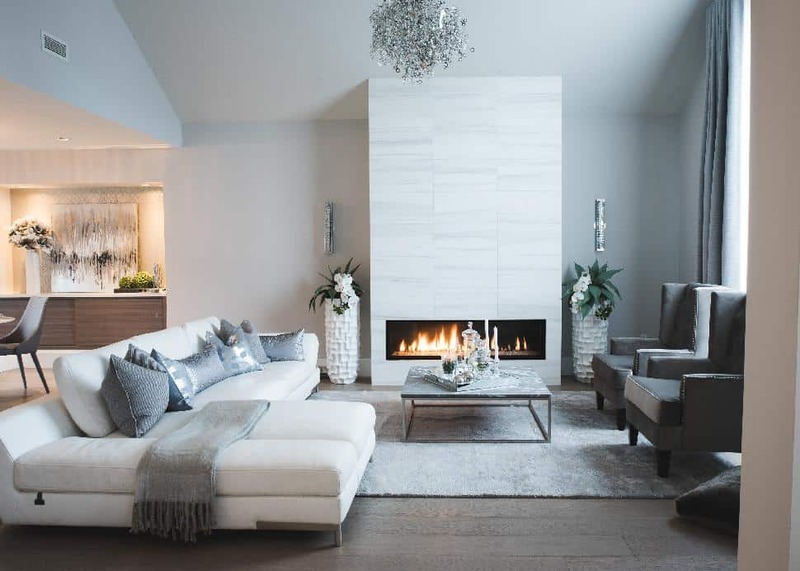 My main decorating colour is white, so it's important that I add layers of texture and different fabrics, like pillow covers, throws, poufs, velvet and the like to warm it up. A front entrance is a great place to make a statement. 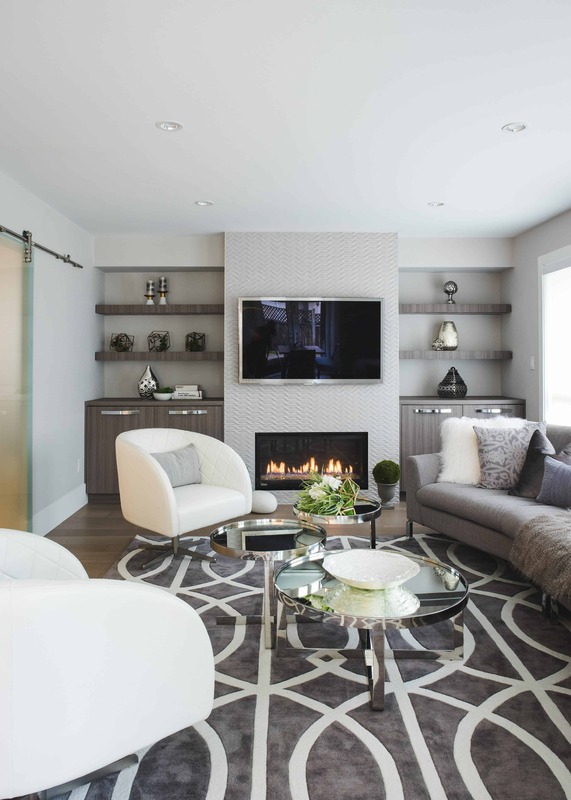 The key for this space is function and practicality, but that doesn’t mean it can’t also be stylish! 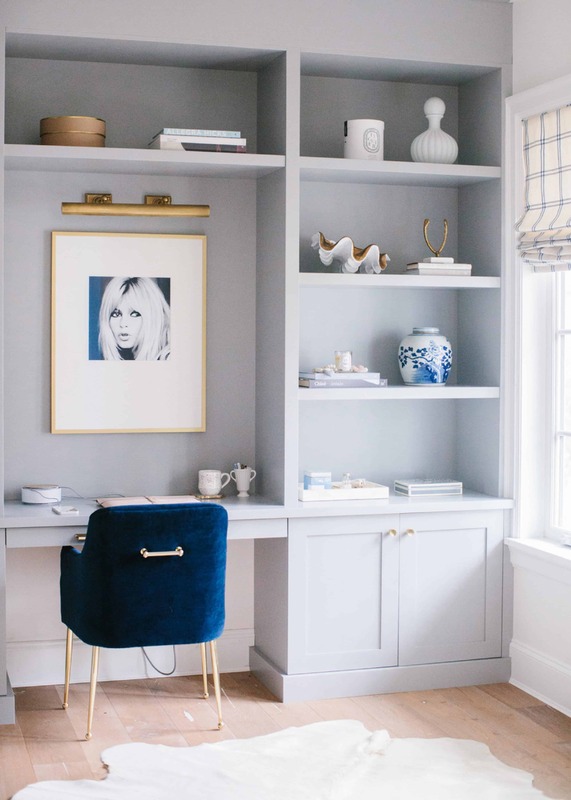 Opt for useful pieces like an umbrella stand and bench. An entranceway is also a great spot for unique artwork or paintings. A great way to hide and complement ceiling drops is to paint the ceiling and walls the same colour. This will help blend in any architectural elements that may come across as a bit busy, creating a soft cohesiveness. When creating a decorating palette for a project, I love to bring in a bit of colour here and there. Take a few neutral colours and add in a bolder colour to create a unique, layered look. 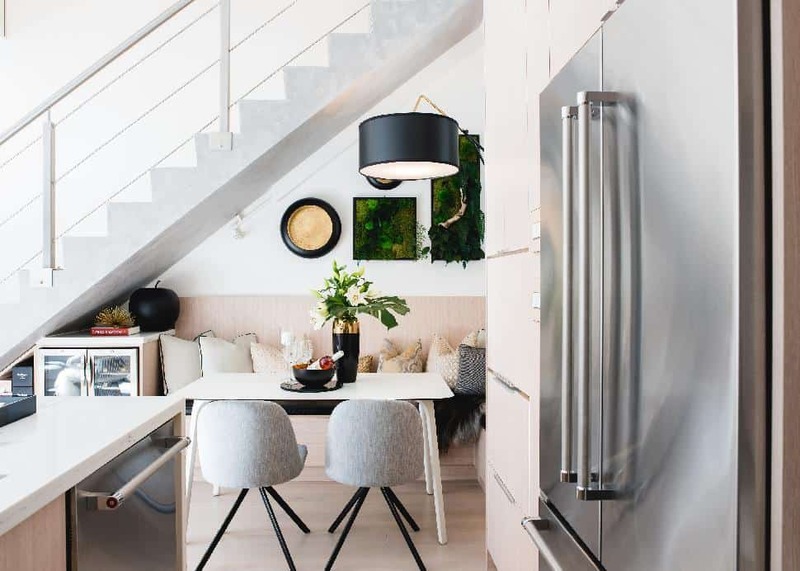 The colour dresses up the space while the naturals keep the space timeless. 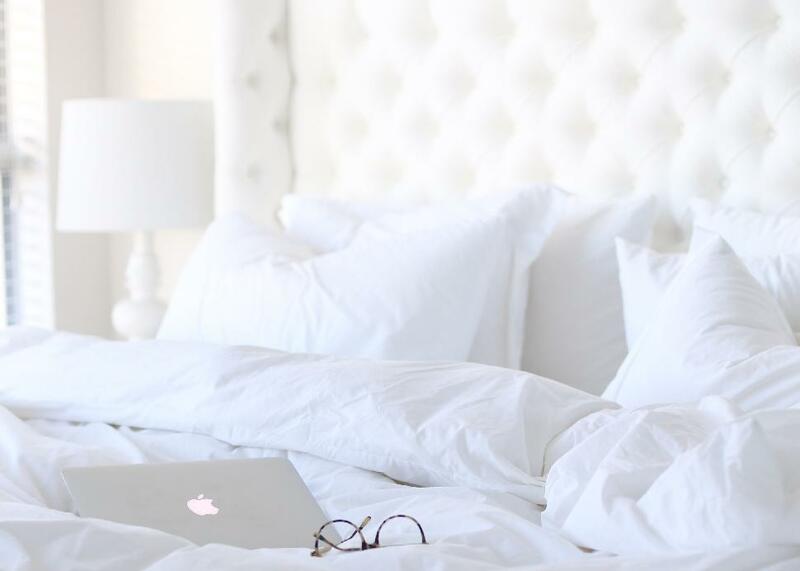 White is a great way to neutralize a space, especially when it comes to selling your home or condo. 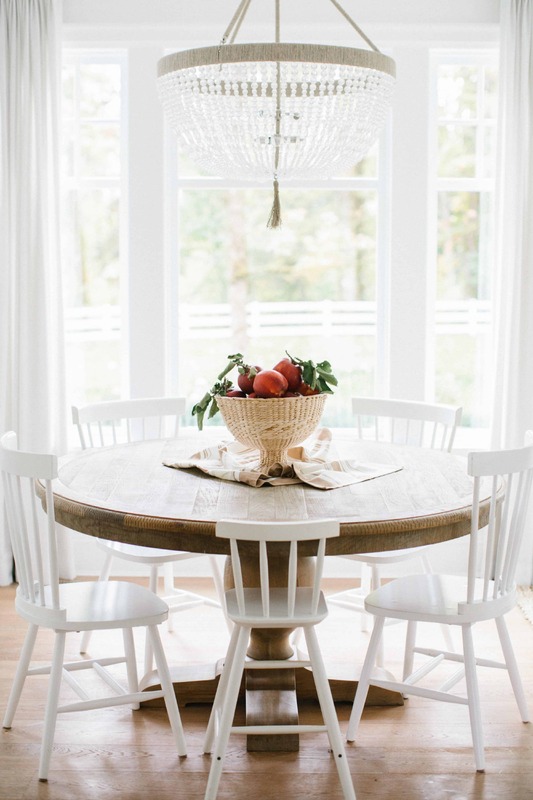 Colours can be very personal, and white is a great way to keep a space both neutral and airy. Not to mention it can even make your space feel bigger! Mirrors are a great way to brighten up a space. They move light around a room and can make a space feel larger. If you have a room that feels dark and you’re not sure what to do with it, try placing a large mirror across from a window or a group of smaller mirrors and see how the space transforms. Sometimes keeping it simple is the best way to make a statement. 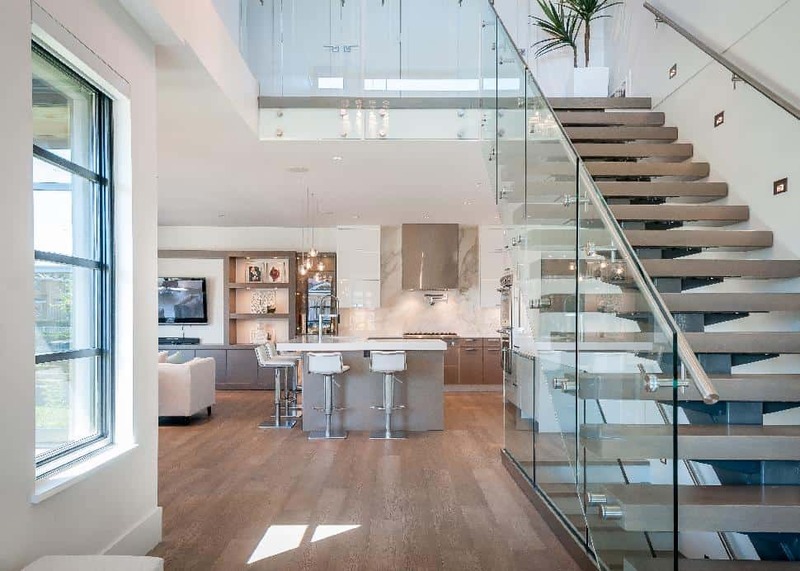 'Less is more' is always a great concept in spaces that have beautiful architectural elements. Keeping the decor more minimal allows the architecture of the space become the emphasis. Julie Row PhotographyChoose neutral pieces for your largest furniture items. Think of your space as a canvas, ready for splashes of colour. 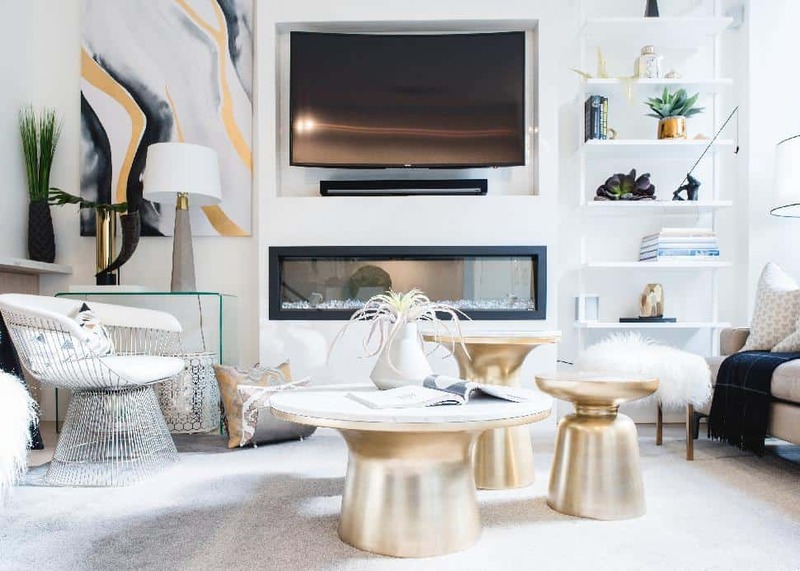 This will allow you to make quick and cost-effective updates to any space simply by changing out items like pillows, throw blankets, artwork and accessories. Invest in key pieces of furniture that have the largest presence and use in a space. In a living or family room, the sofa is the starring role. The largest furniture pieces in a room are commonly the most important, and can act as a focal point for a space. 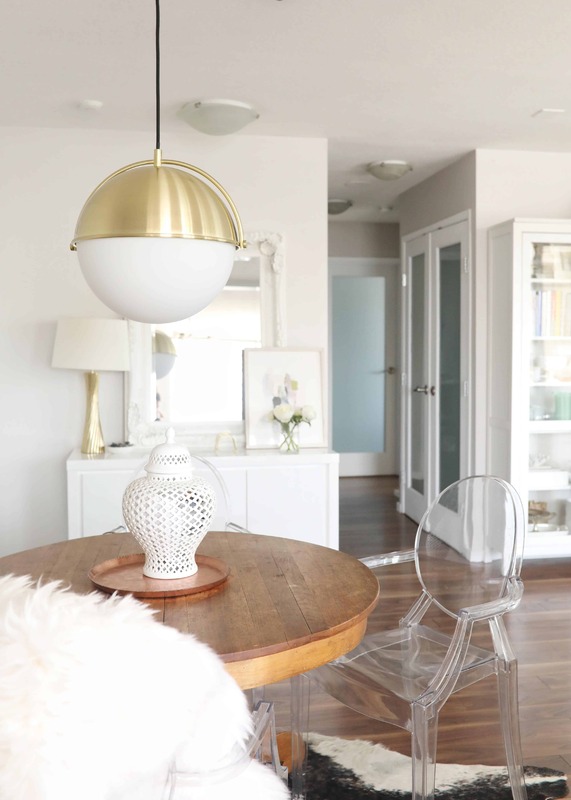 Cat Segovia Photography Your light fixtures are a great source to go bigger and provide a wow factor, while giving your space the perception of larger proportions and space. Don’t be afraid to go big! It's all about perception. 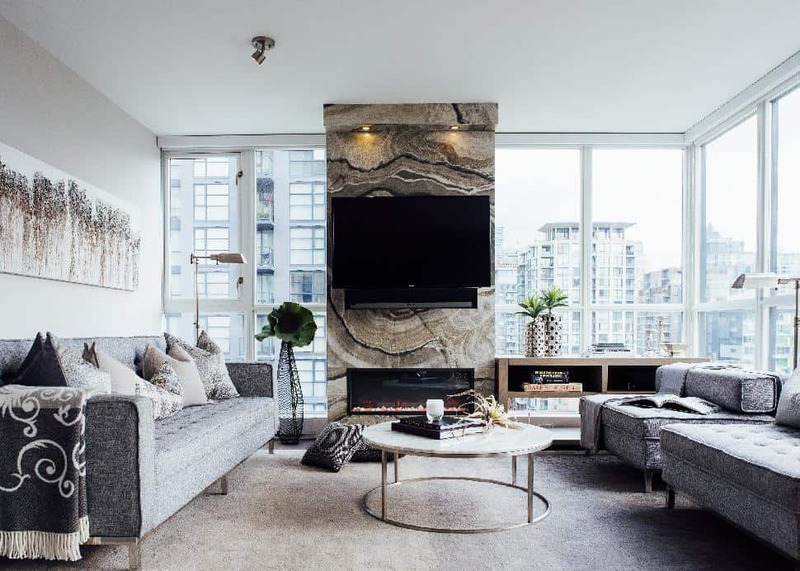 A collection of small items and furniture pieces can make a room feel smaller and busier, whereas a select group of larger items can give a space great impact while making it feel bigger than it is. 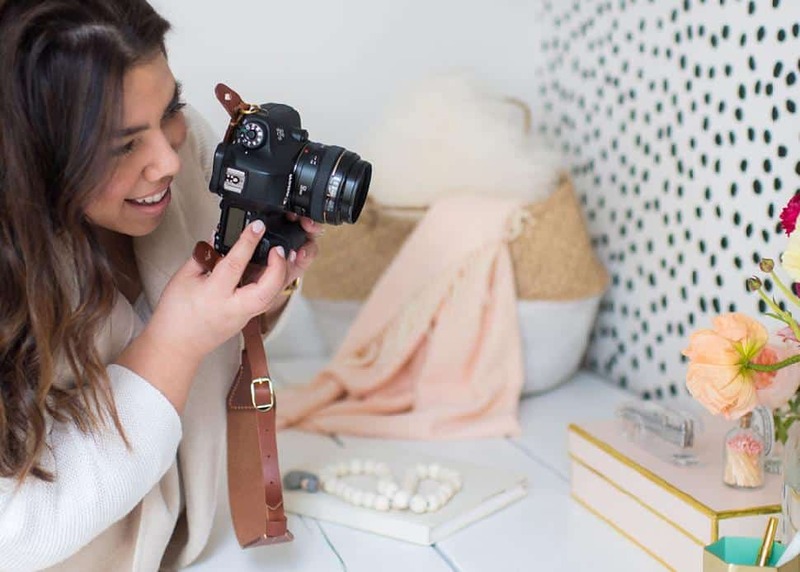 Julie Row Photography Just like a well-curated look or outfit, layering is key. Use artwork, pillows, accessories and plants to not only tie a space together but also to create depth and soften corners. Don't forget to also take risks. Accessories can always be changed, so play with textures and patterns in areas such as your rug or throw pillows. 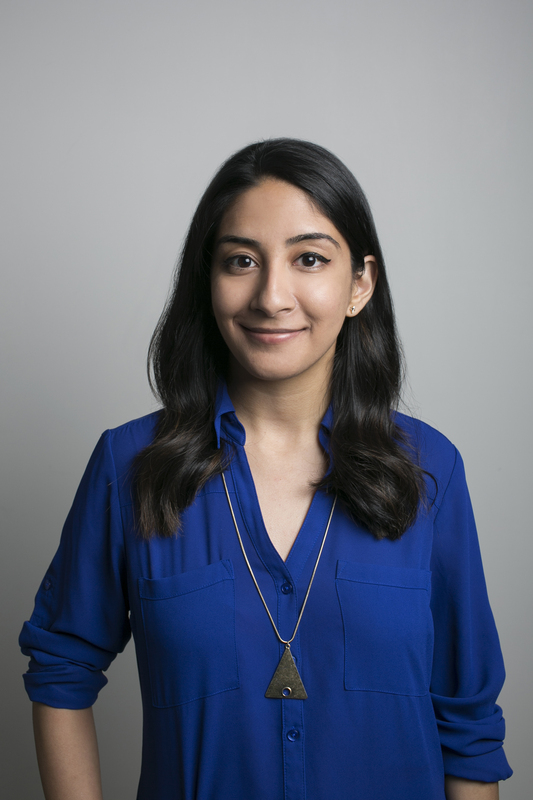 These are the items you should be using to make a statement. Julie Row Photography Have a plan and ensure you have a colour scheme in mind before you choose items for your space. 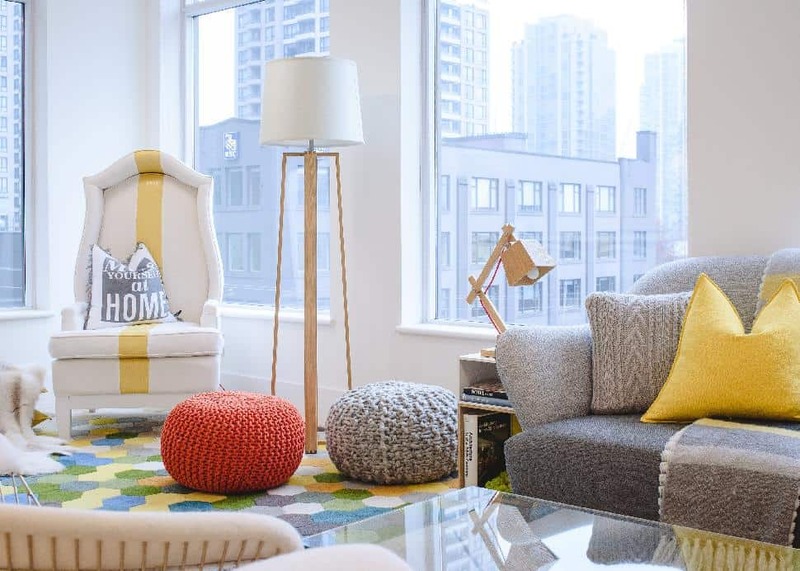 If you keep a neutral base as we suggest, it's time to add a pop of colour. 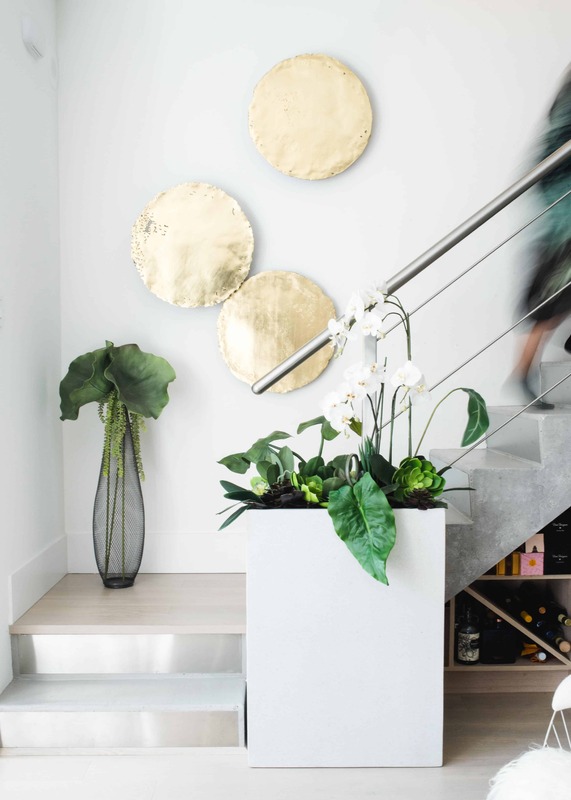 No matter which colour you have in mind (it could even be a metallic), don’t be afraid to incorporate it throughout the space, in the art, the binding of a book and the accessories. Julie Row PhotographyAlways remember: it's important to "rest and repeat." Don't group items too closely together. Provide some breathing space and repeat again. This helps give a space consistency and balance. 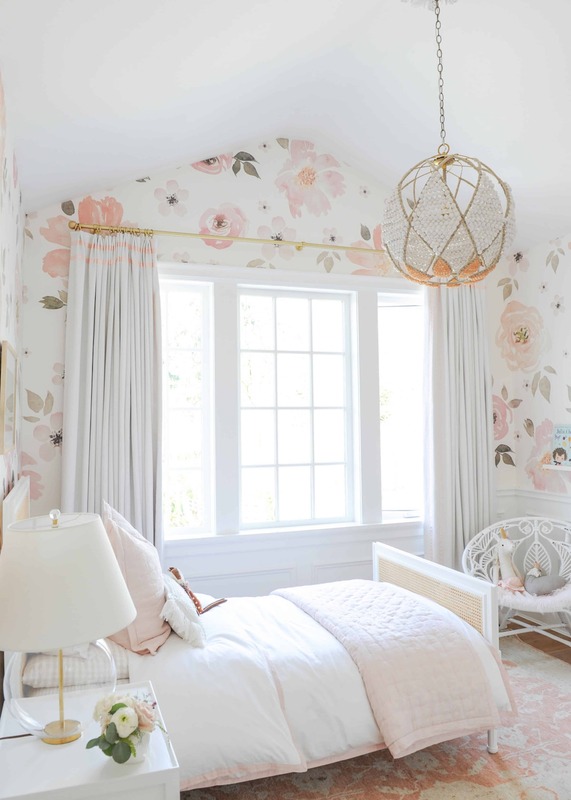 Julie Row Photography Each room should contain at least one main focal point, like a fireplace in a living room, a large piece of art above a bed or a leaning mirror in a dining room. 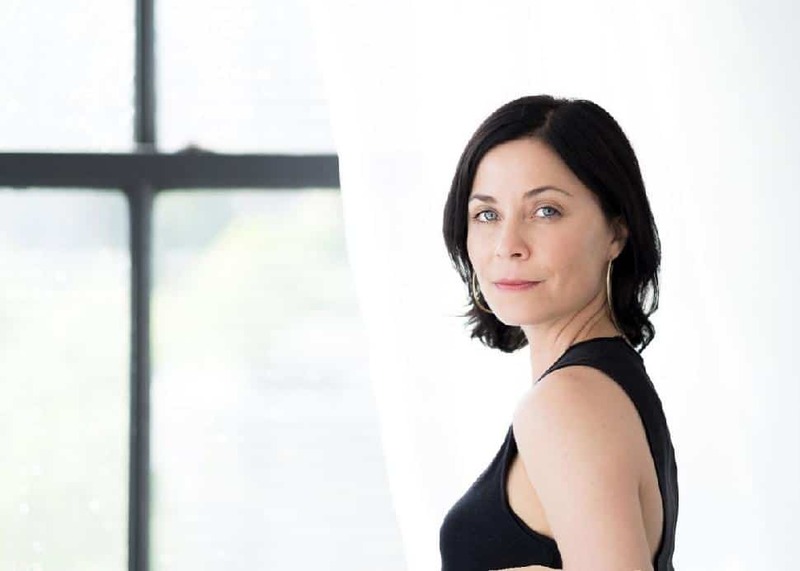 Consider how you enter a space and where you want the focus to be. 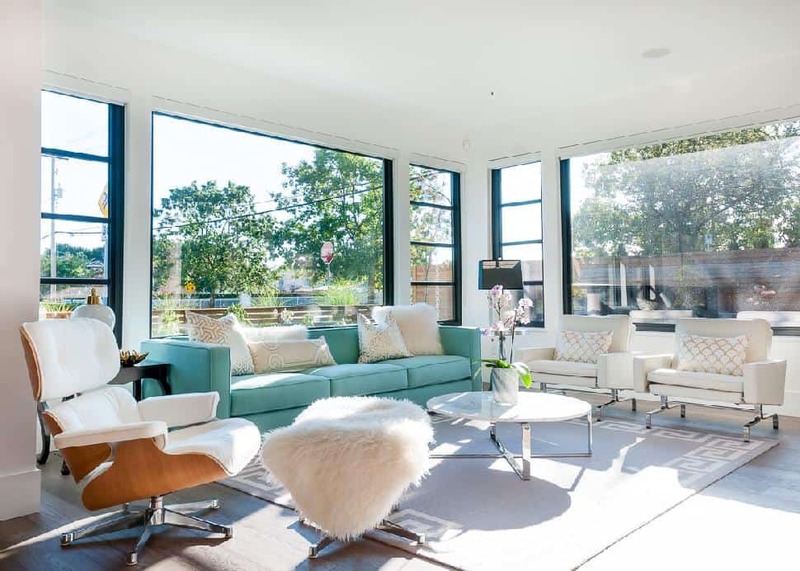 In some instances, your focal point may be architectural, such as a unique window or structural detail. If so, don't overwhelm the space and add a feature where one isn't needed. Julie Row Photography Get your artwork off the floor and put it up. Make sure to always hang it at the right height: eye level with a mid-point of approximately 60 inches above floor level (this will depend on your ceiling height). 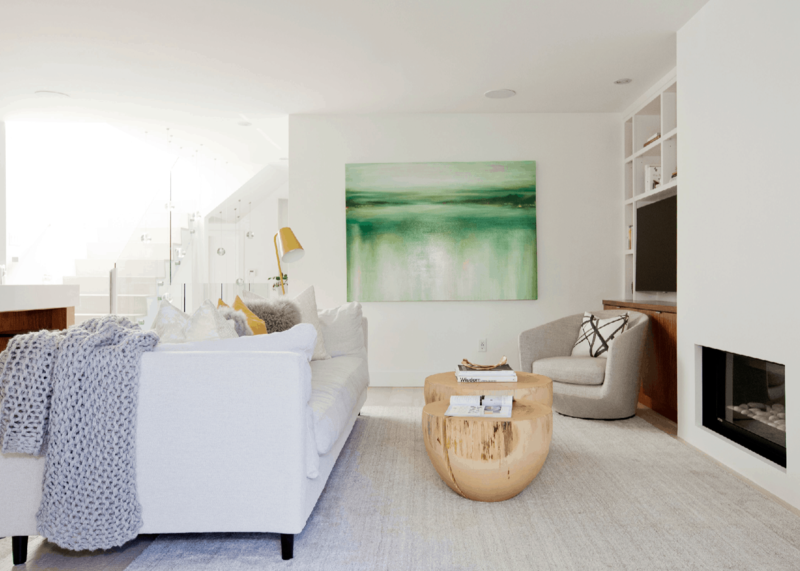 Julie Row Photography A common mistake is choosing the incorrect size for an area rug. Be sure to measure before making your purchase. When taking measurements, ensure that your furniture either touches or sits on top of the rug so it anchors the space. Cat Segovia Photography What's the point of having a beautiful space if you can't see it? Proper lighting is one of the most important elements of any space. Distributing light evenly throughout a room is easy on the eyes while a central fixture helps bring the drama. 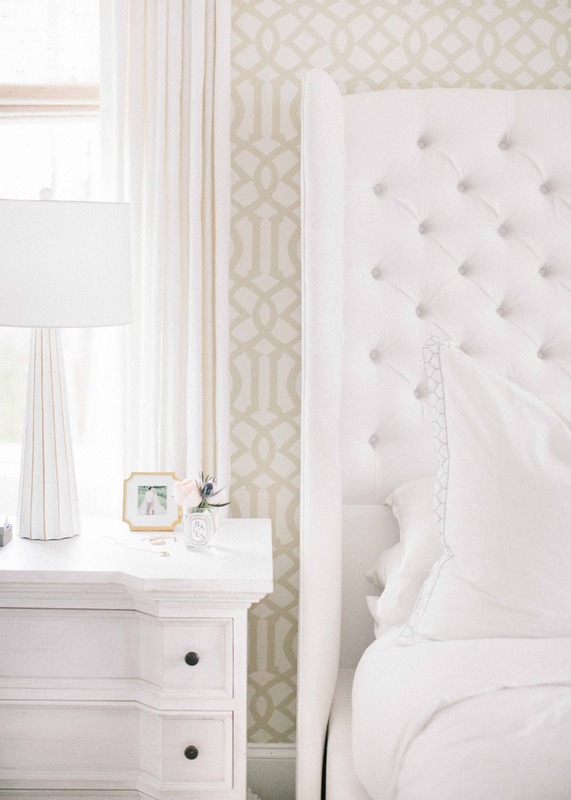 Julie Row Photography As much as we strive for well-illuminated spaces, adding light dimmers helps you adjust the level of light depending on the mood, occasion or time of day. Don't forget: it's your home. 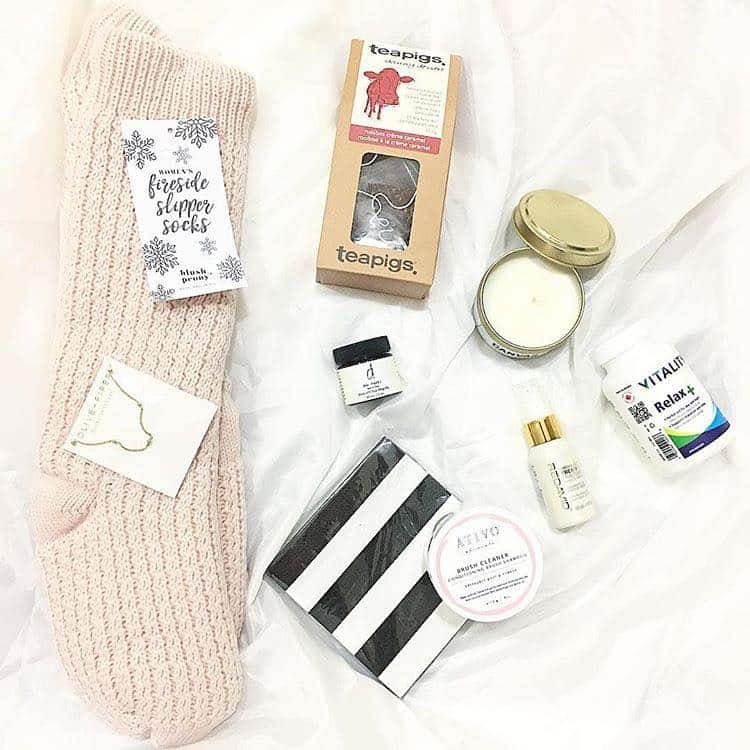 As much as we all love perfectly curated, staged spaces on a glossy magazine spread, let's not lose the personality! Don’t be afraid to decorate your space with things that reflect you, from topic-worthy books that interest you, personal photos in frames, artifacts from your travels or just a hobby or theme you enjoy. In a more neutral space, add elements of texture and metals, such as shiplap walls or special hardware in the kitchen to make a space pop. 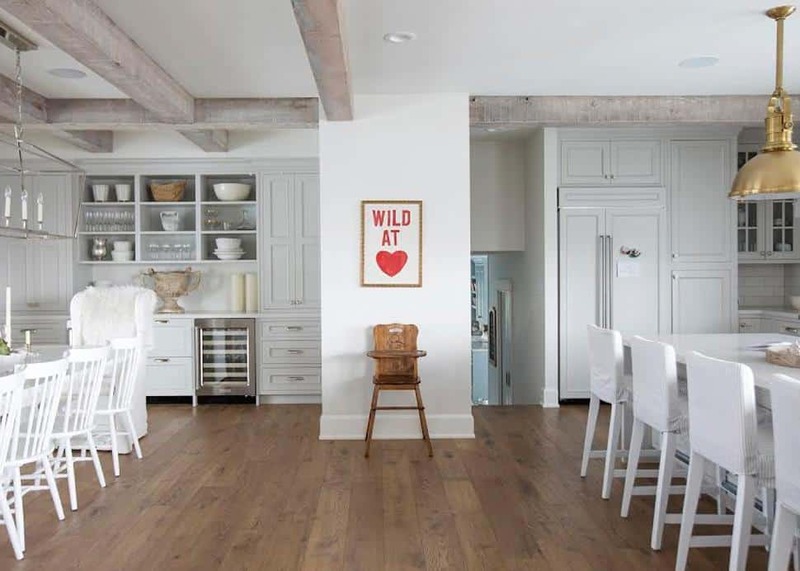 Some of my favourite trends are whites, blues, greys, neutrals and soft wood details. You can never go wrong adding these to a space. These colours are sure to stand the test of time and can be used anywhere. 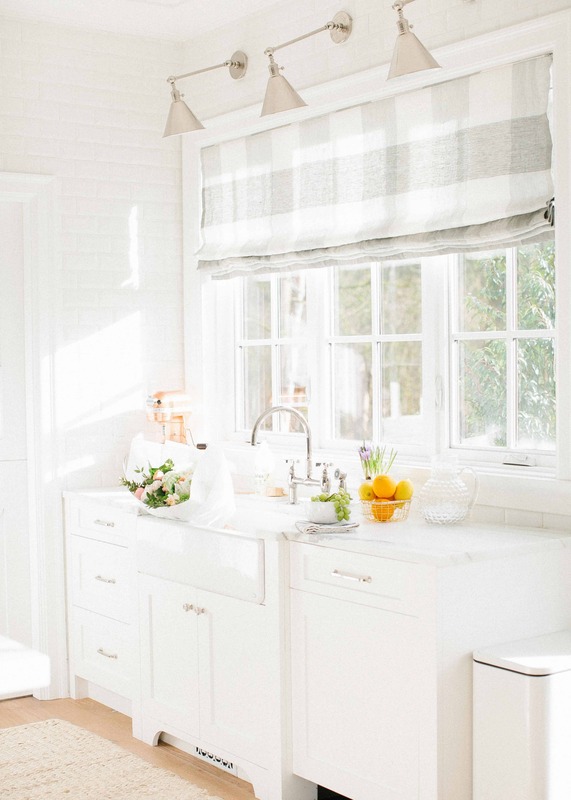 Adding in window treatments such as Roman blinds and drapes is a great way to add character and coziness. Tracy Ayton Wallpaper is a great way to make a statement, whether it be through a gorgeous classic selection or even a removable material. Extra tip: use wallpaper on a single side of the wall to create a focal point. Get creative with lighting fixtures to give your space a unique, personal touch. Don’t be afraid to think outside the box. The bolder the fixture, the better! 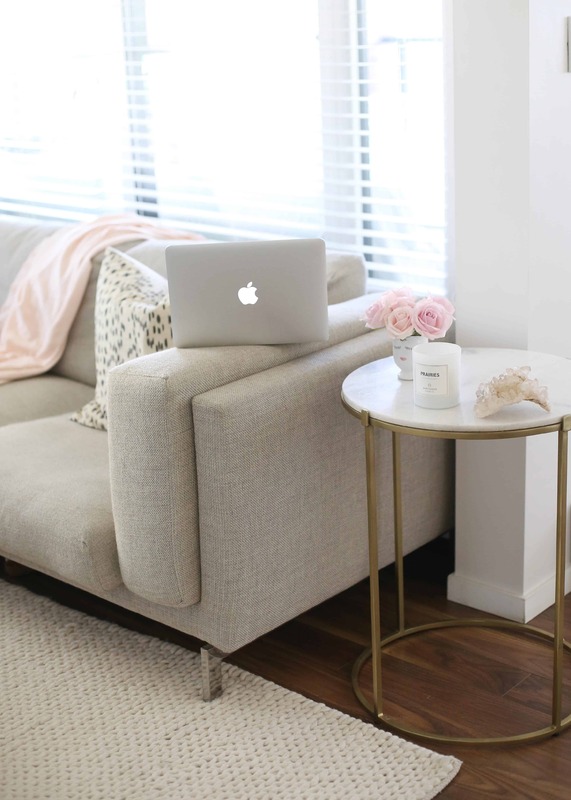 Switching out decor items seasonally such as pillows, throws or even coffee table decor elements, will give room fresh uplift without breaking the bank. Rugs ground a room and tie everything together, creating the perfect finishing touch. I typically pick out my rug and build design elements around it. Opt for a classic Persian rug, or one with a natural texture for a more coastal look. Don’t underestimate the power of decluttering. 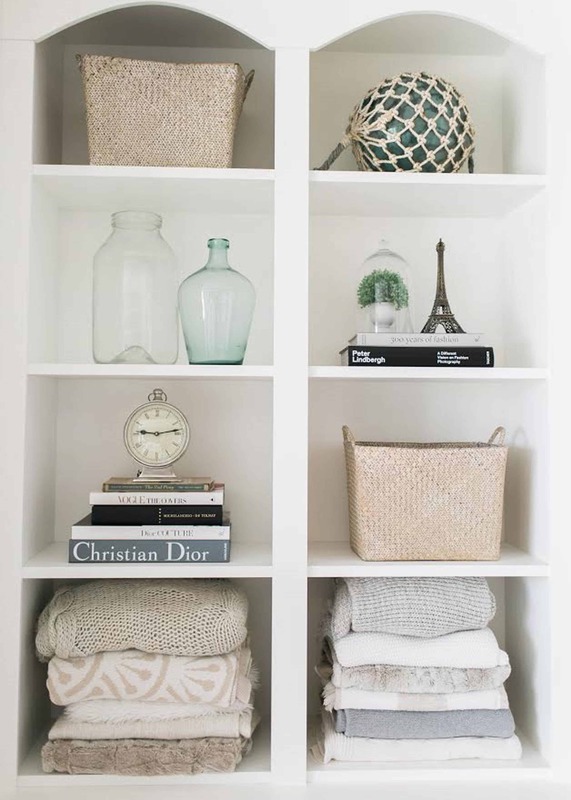 Eliminating clutter will help make the items you love in your home stand out more. 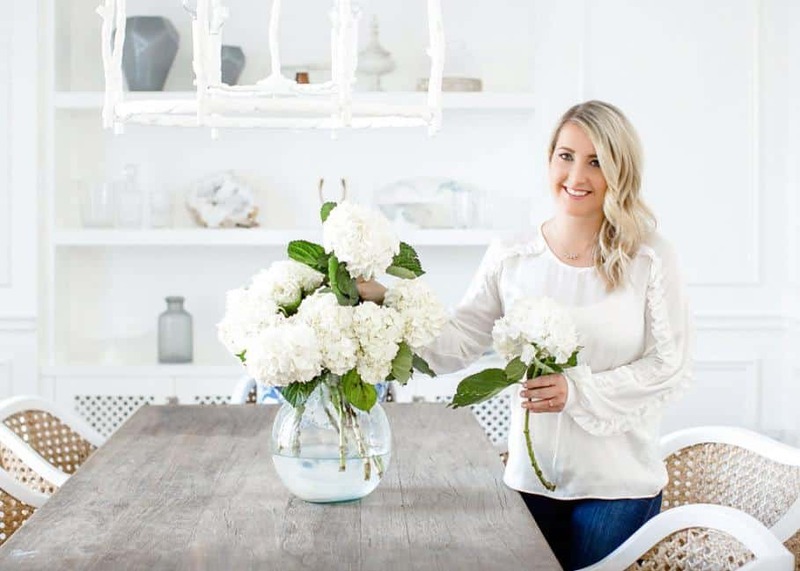 Fresh flowers are a timeless, classic trend that add warmth and brightness to a room. Flowers are also the perfect seasonal decor item—grom poinsettias during the holidays to tulips in the spring. Mosaic and cement tiles are a perfect place to start and come in many great designs. 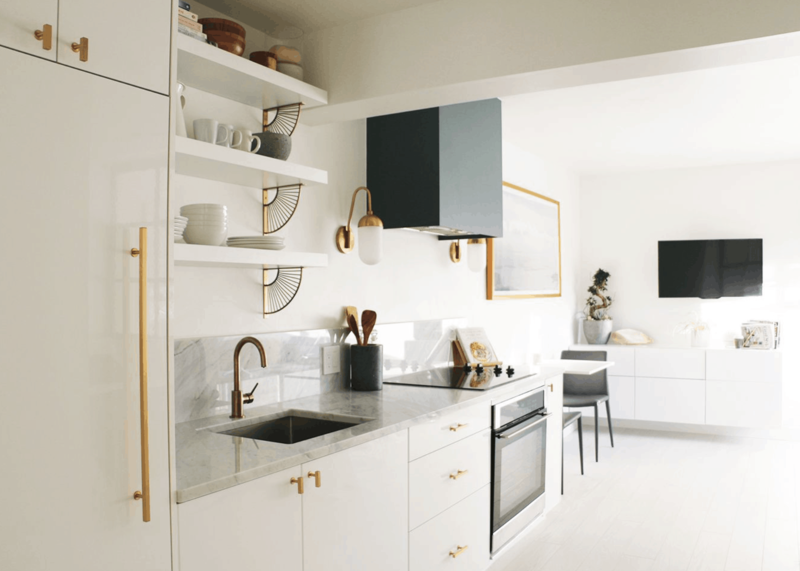 Alternatively, go for a more monochromatic look with marble tiles.